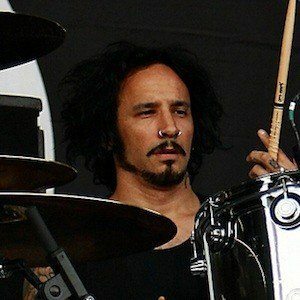 Professional musician best known for his work as the drummer of the metal band Stone Sour. With an interest in music at a young age, he joined the metal band Soulfly in 1997. After playing with several bands and improving upon his skills, he joined the band Stone Sour on May 10, 2006. He has played and toured with several other artists including the bands Shelter, Nausea, and Medication. He married and had a daughter named Nico. He can be seen on the Late Night show with Seth Meyers.